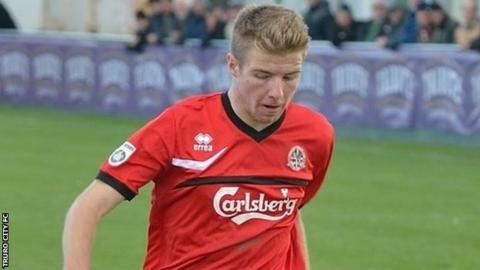 Truro City moved into the National League South play-off places with a 2-0 win over Basingstoke. Exeter City loanee Connor Riley-Lowe gave the White Tigers a 20th-minute lead before Cody Cooke made the game safe two minutes from full-time against the league's bottom side. Truro currently lie fifth in the table, their highest-ever placing in English league football. The victory extended the club's unbeaten league run to 10 matches.